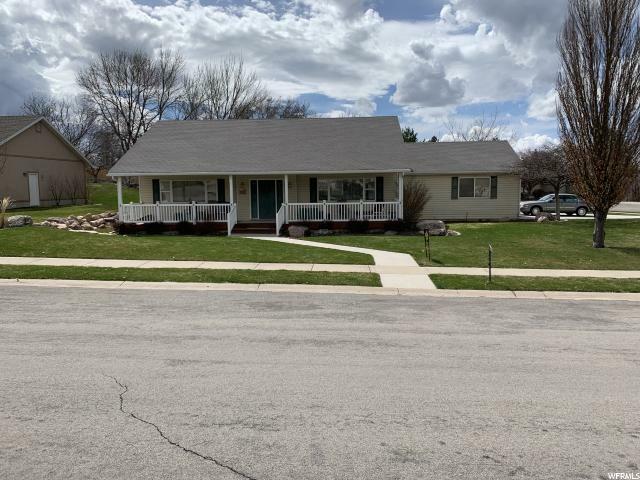 All North Logan homes currently listed for sale in North Logan as of 04/24/2019 are shown below. You can change the search criteria at any time by pressing the 'Change Search' button below. 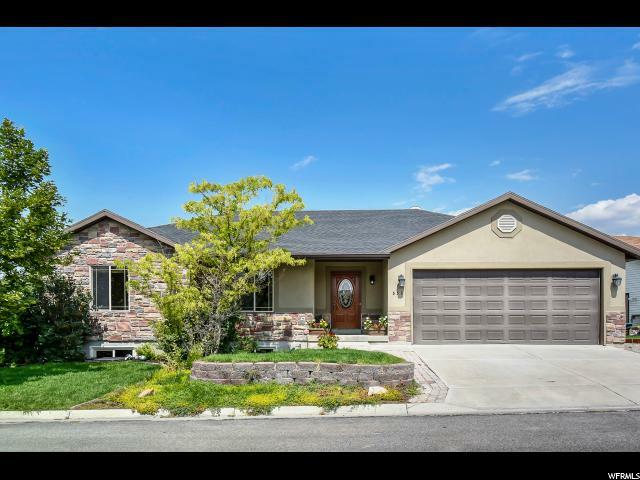 If you have any questions or you would like more information about any North Logan homes for sale or other North Logan real estate, please contact us and one of our knowledgeable North Logan REALTORS® would be pleased to assist you. "With so much pretense out there, it's difficult not to get a little jaded when words like modern & captivating get thrown around carelessly. Not so at 3280 North 1450 East in North Logan. This one is the genuine article. Built in 2015, the intention behind this residence was to create a space that fully maximizes the views to the east while at the same time offering something fresh & visually-engaging to the neighborhood. 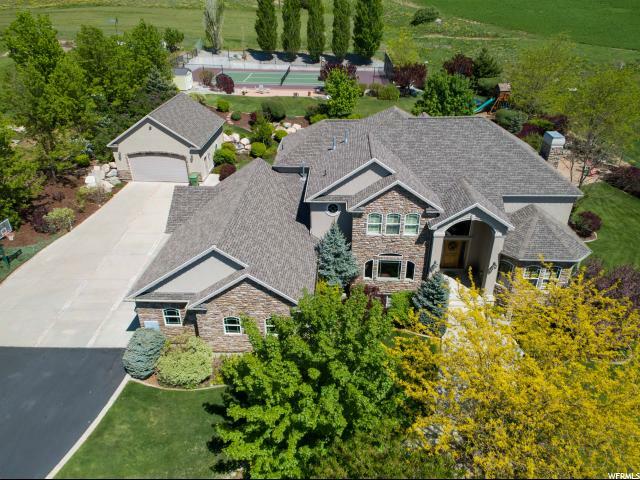 And let's talk about the neighborhood... this pristine, upscale cache valley location is completely unmatched. Design that makes sense while making a statement is hard to come by. From the towering ceilings (that height!) to the open layout, to the crisp, clean kitchen (with the largest pantry ever BTW...) is deliciously designed with one-of-a-kind detailing. The large laundry/craft room is the perfect spot to get all things done! The main floor is an absolute dream. The interior is light, bright, & impeccably designed (& we're loving those gorgeous hardwood floors!). Luxuriously landscaped, the backyard retreat is complete with a large, covered patio, outdoor sound system, detailed lighting, & the most stunning waterfall this side of Niagara Falls-- it will engage your interest for daaaaaays! Truly your very own backyard paradise. A masterpiece that was carefully hand-crafted, this is what is really meant by the whole package. Click the TOUR link above for the video! (Square footage figures are provided as a courtesy estimate only & were obtained from county records. Buyer to verify all information.) "
"Exquisite executive home for family and entertaining near the university, new high school, hospitals, and shopping. Clear unobstructed view of both the mountains and valley. Home is in impeccable condition! Watch the video for more information. You need to see the custom upgrades in this home! Many furnishings available for sale. All data including measurements to be confirmed by buyer. " "An impeccably-designed home with nothing left to change. Professionally detailed and a parade of homes award winner to prove it. This is a must see for any discriminating buyer. " "Gorgeous custom home with amazing valley views! You will love the beautiful kitchen, large family room, amazing master bedroom, beautiful landscaping, mother in law apartment with its own entrance and so much more!! " "Luxury & Location, the two best features you could wish for. 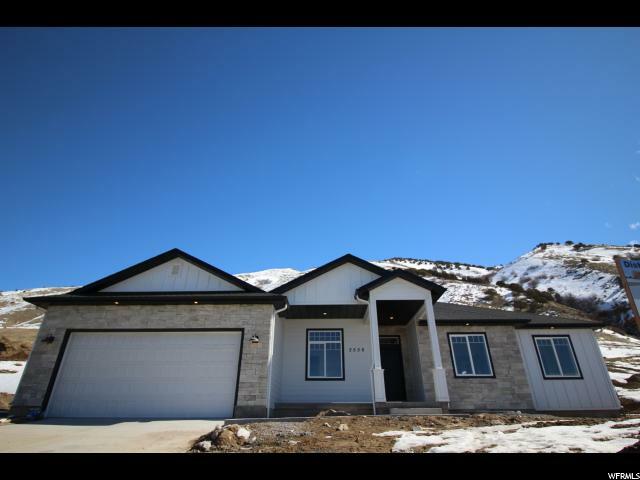 Enjoy this Contractor's Custom North Logan Home with 52x44 Shop on .73 Acres on the East Bench with Incredible Quality, Upgrades & Finish Inside & Out. 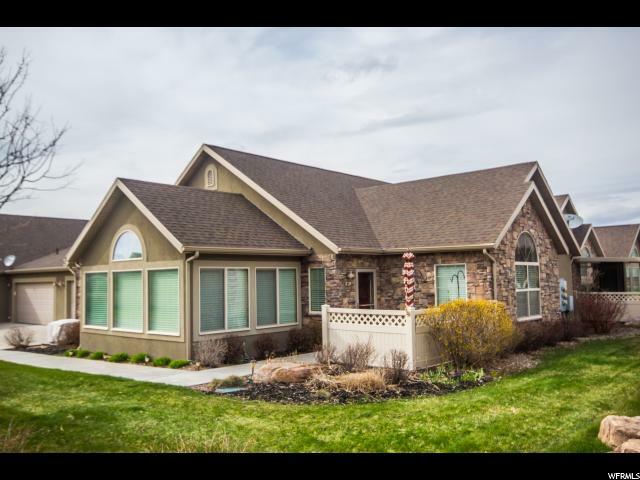 Quiet, Private, Safe ... a favorite Cache Valley Neighborhood Convenient to Utah State University. Spacious, Elegant Layout with 2319 Square Foot Main Floor with a full basement with kitchenette. Chef's Dream Kitchen with Cabinetry Galore. Circle Drive ... Simply Stunning! " "THE HOME YOU HAVE BEEN WAITING FOR!!! 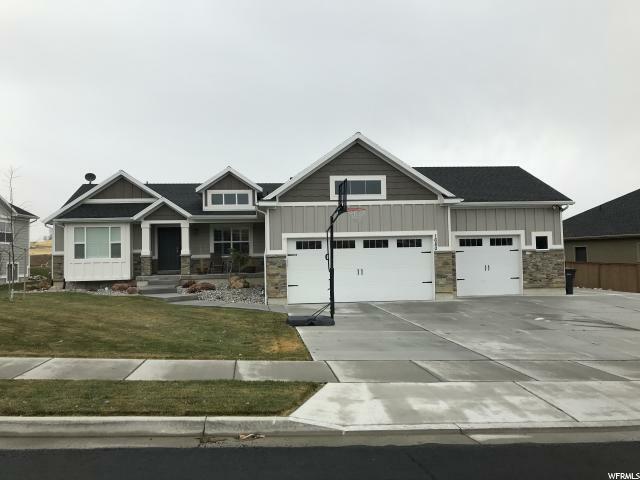 Beautiful rambler-style home, custom built with an attention to detail and quality, conveniently located just seconds from shopping, dining, USU and recreation. Picture yourself taking in sunrises and sunsets from the main-level covered deck, private lounging in the sunshine on the back patio, or entertaining from either full kitchen on each floor - this home has it all. Rich Brazilian cherry woodwork and granite adorn this home throughout, along with vaults and tray ceilings, many built-ins, formal sitting/library, formal dining, stainless appliances in both kitchens, large (huge!) family rooms, five-piece master bathroom, spacious mudroom, plenty of storage, possible mother-in-law floor downstairs, endless options with two office space/dens downstairs, and plantation shutters. The extra deep and roomy three car garage is big enough to bring your cars and hobbies with you. Fully fenced yard, thoughtfully landscaped with seclusion in mind. Make your appointment today!!! SHOWINGS BY APPOINTMENT ONLY, AGENTS SEE AGENT REMARKS. " "Beautiful home built in 2016. 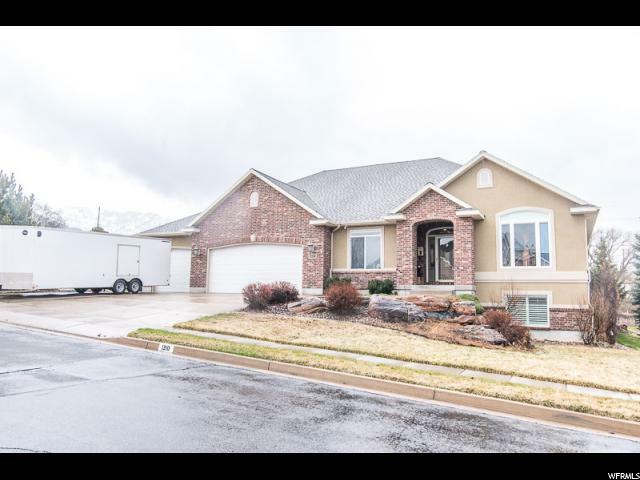 4 Bedroom, 2.5 Bath, Office, Large Great Room, Granite Throughout, Fireplace Up and Down, Built In Book Shelves, Laminate, Tile, Carpet, Large Covered Patio, Oversized Three Car Garage, RV Parking, Hardy Board, Stone, Stucco, Double Oven, Gas Stove Top and much more. Immaculate Condition. Square footage as per building plans built to specifications. Buyer to verify." "OPEN HOUSE - Sat-March 30th, 10AM-Noon. Brand New MODERN FARMHOUSE STYLE with Charm in every direction. 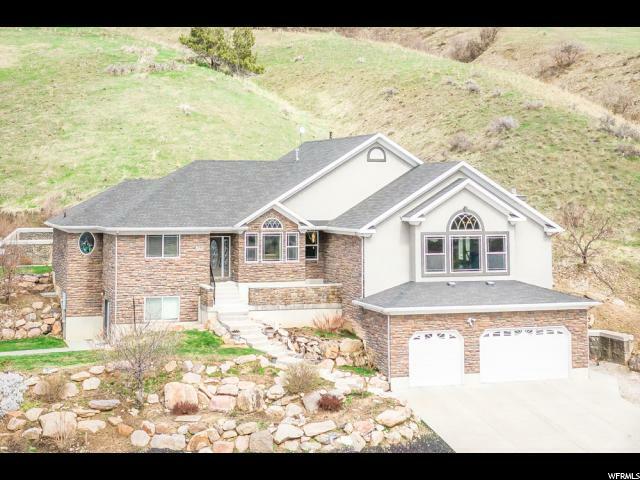 Located in the Secluded Wildercrest Subdivision with Incredible Valley and Mountain Views! 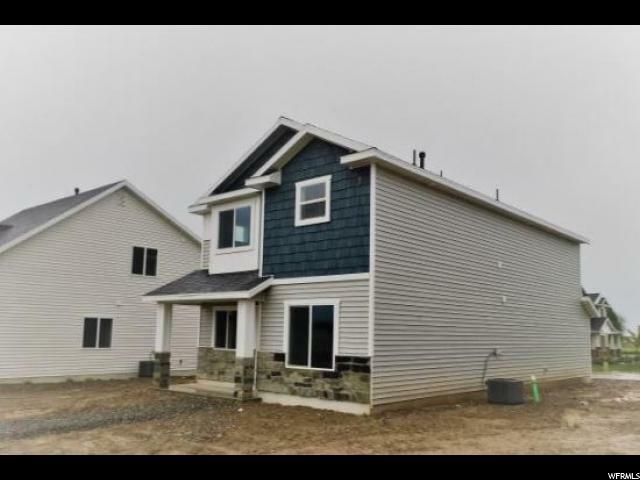 If you like Style, your going to LOVE this new home. Beautiful Color Palette and Ship-lap Detail that adds so much personality. Kitchen has Beautiful Gray and Natural finish cabinets, HUGE Island Bar & Pendant Lighting combined with the Great Room makes one feel right at home. Elegant Granite and Hardwood flooring add even more to this great plan. Bonus Flex room for additional bedroom, office, or formal living area." 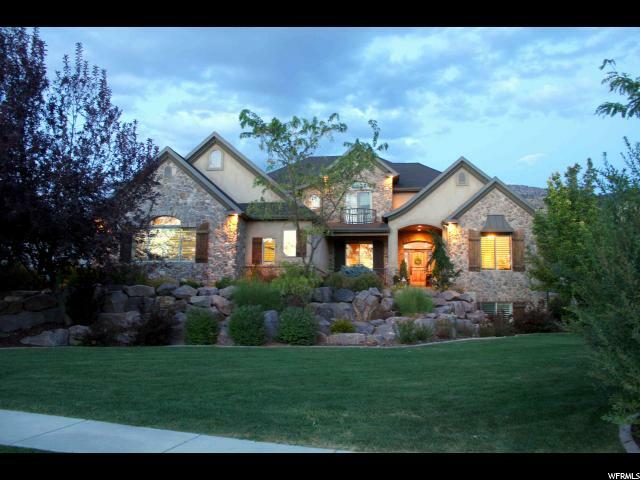 "Custom built 2-story home for sale in North Logan. This home has lots of amenities and features. Some of those include; 2 x 6 construction, salon with private entrance, large front porch, hardwood floors, main level master, main floor laundry, formal dining and living rooms, central vacuum system, hidden walk in kitchen pantry, walk in closets, master bath, 0.28 acres, oversize 2 car garage, steel siding, sprinkler system, garden, shed, laundry room is plumbed for gas and electric, huge cold storage area, fireplace, fully fenced, cul-de-sac and much more. This home is a must see. Call today for an appointment. " "Price Reduction! Plus kitchen credit for updating on this Awesome Rambler-Style Home with unobstructed views of the mountains from your full-length front porch. 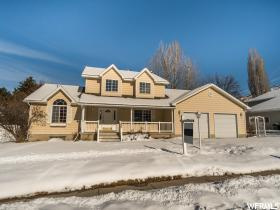 Talk about location, this 1 owner home is located in one of the more coveted areas in North Logan. Main floor Master Suite with dual sinks in the ensuite bathroom. 3 finished bedrooms, as well as a full bathroom with 2 sinks in the basement. A large kitchen is open to a large family room and living room. This home has vaulted ceilings and tons of natural light. Backyard has a patio and a garden area. Detached shed in the back. Square footage figures are provided as a courtesy estimate only. Buyer is advised to obtain an independent measurement. " 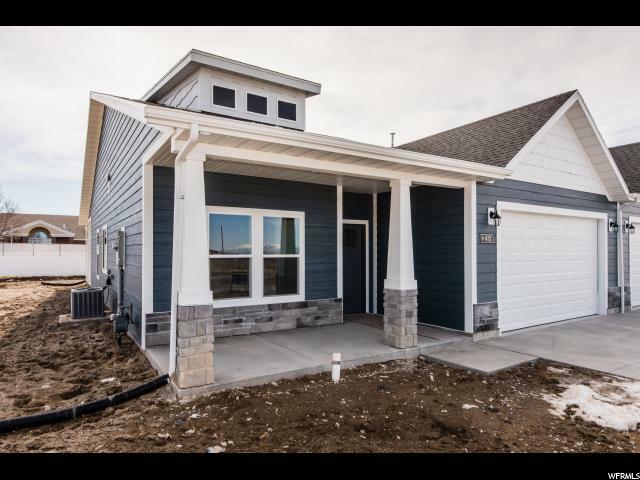 "Come home to this gorgeous new 2 story home nested in the heart of North Logan. Amazing floor plan by Sierra Homes. The quietness of the cul-de-sac and the beauty of the mountain views make this property location very desirable. Enter through the main door to a welcoming open-to-above den. The open living/dining/area will allow you to entertain and accommodate big family and friend groups.The kitchen offers a spacious island, oversized pantry and plenty of custom made cabinetry, all which will win the heart of your inner chef. Enter through the 3 garage into a convenient mud room, right across from a Half a bathroom. The upper level offers 4 bedrooms, with a dreamy master bathroom, complete with separate marble surround shower and soaker tub. The Walk-in closet has so much space it will give you a reason for shopping sprees. There is another full bathroom and a convenient located laundry in this level. The yard is very spacious!!! 0.26 acre of North Logan prime land! and the secondary water will keep your lawn green and your water bill low. " "Recently remodeled home with the perfect lay out. 3 brand new bedrooms just added for a total of 6! This beautiful rambler is situated on a quiet cul-de-sac near private neighborhood parks and with in walking distance of the elementary school. Enjoy walking trails throughout this child friendly neighborhood and amazing HOA amenities including ALL North Logan utilities paid, snow removal and picnic area. Close to University and shopping. " 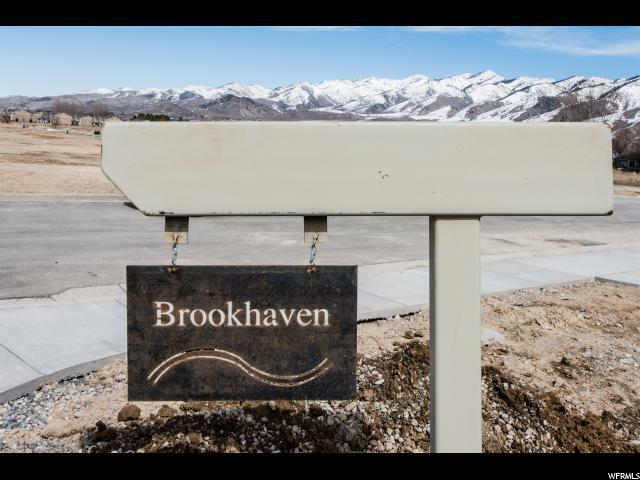 "Welcome to Brookhaven, an exciting new North Logan 55 and better community! Stroll through the walking trails taking in the mountain vistas, enjoy using your green thumb in the garden boxes, and have fun playing pickleball with family and friends. The location is fantastic and the homes are beautiful and easily maintained. 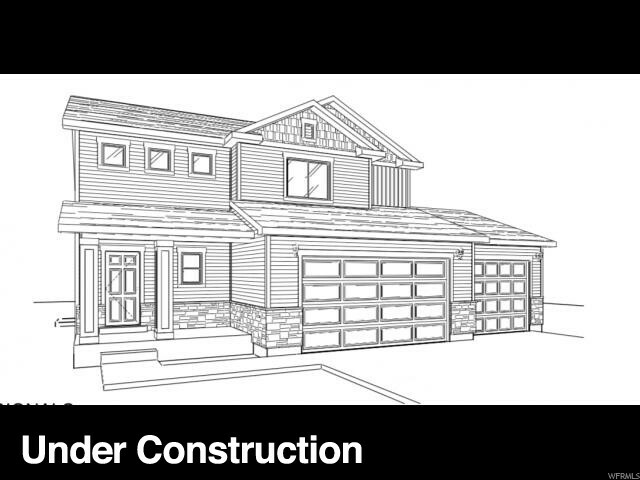 Choose from 4 floor plans and exterior style, and customize the finishes the way you'd like. (This listing is the Ashton.) There's a home that fits the needs of everyone starting from 1340 sf up to 2749 sq ft with bonus room options. Prices begin at $274,610. Floor plan highlights include a large living area, luxury dining, laundry room with access to master closet option, tech zone option, fireplaces, and covered patios to name a few. 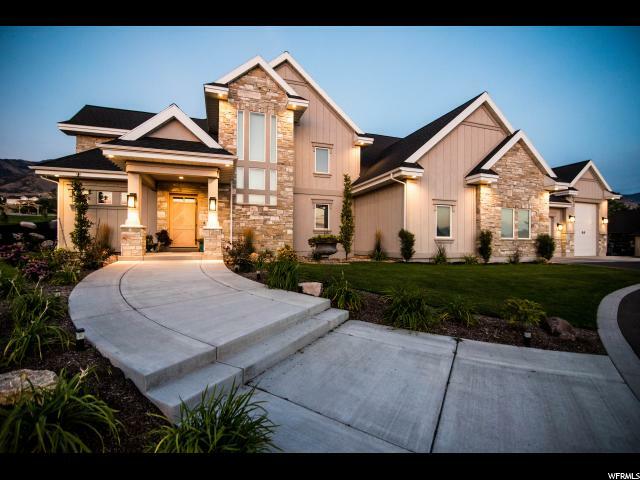 Live in a beautiful home just minutes away from USU events, recreational opportunities, and unsurpassed local entertainment. Great home, great lifestyle, great life! " "Welcome to Brookhaven, an exciting new North Logan 55 and better community! The location is fantastic and the homes are beautiful and easily maintained. Choose from 4 floor plans and customize the finishes the way you want. This is the Ashton. The inviting entrance beckons you to a home filled with natural light. Congregate in the great room with family and friends where the chef will not feel left out since the kitchen is included in this space. The kitchen is fabulous with its beautiful granite counter tops, convenient island, and lovely soft close cabinets. You'll love the dining area where you will enjoy majestic mountain views through the surrounding windows. Unwind in the master suite, with its' wonderful master bathroom, walk-in closet and convenient adjoining laundry. And did I mention the amenities just outside your front door: walking trails, garden boxes, and pickle ball courts! Then there's Logan with USU events, recreational opportunities galore, and entertainment you'd find in New York City at a fraction of the cost! Great home, great lifestyle, great life! Get started today! " "Carefree Living at its Finest in Towne Center Villas! 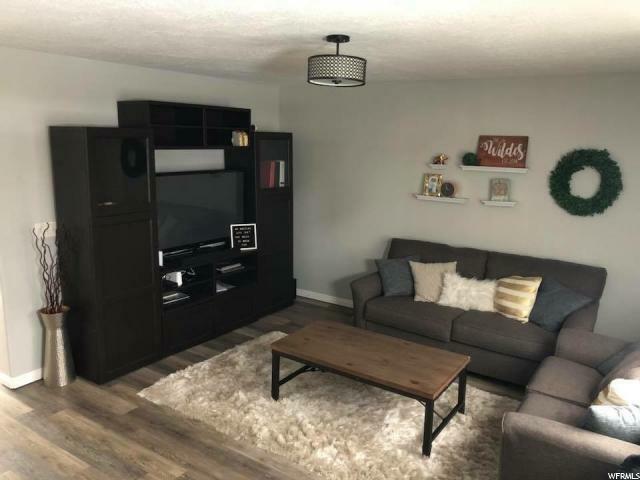 Charming home in North Logan senior living community with excellent natural lighting, this two bedroom, two bathroom home features open concept family areas, kitchen and great room with vaulted ceilings and welcoming gas log fireplace. The large kitchen, bar area and dining make for great family gatherings. There's lots of storage with walk-in closets and large pantry. This home is located in a wonderful neighborhood known for its friendly and quiet living with clubhouse, swimming pool, gym, and theater, this would be a great home for anyone looking for 55+ living. " "Beautiful new well-designed home. Granite countertops. Kitchen bar. Master bedroom on upper level features trey ceiling and large walk-in closet. Master bath has separate soaker tub and shower and toilet room. Upper level has two additional bedrooms, a full bath, laundry room and flex room. Mud room with cubbies and half bath located on main floor off of garage entrance. Located near new residences, shops and schools, elite ice rink, outdoor ball fields, sports complex and city library close by. Buyer to verify all information." "Updated 3 bedroom townhouse with a 2 CAR GARAGE in a GREAT LOCATION! New paint, vinyl flooring and more. Enjoy the nearby playground, basketball courts and clubhouse. Spacious bedrooms, private fenced patio and a mid unit that will save you money on utilities. Well cared for and ready for a new owner! (Square footage figures are provided as a courtesy estimate only and were obtained from County Records . Buyer is advised to obtain an independent measurement.)"